Right now, the entire state of NSW is in drought, or at the onset of drought. Australian farmers are the backbone of our country. For hundreds of years they've fed us all. 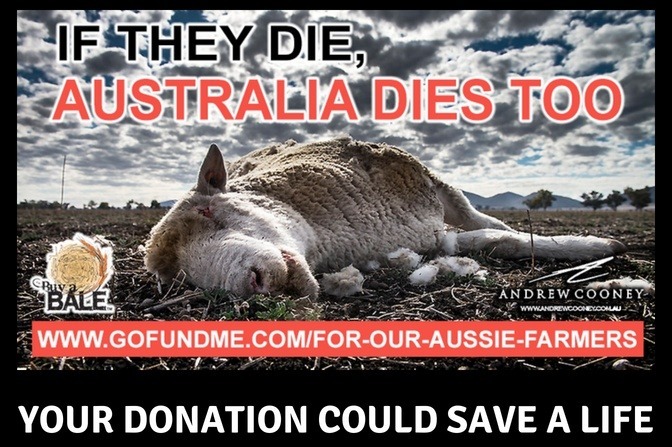 Now they need our support to keep their cattle alive after the cessation of live cattle exports, no wet season and fires. 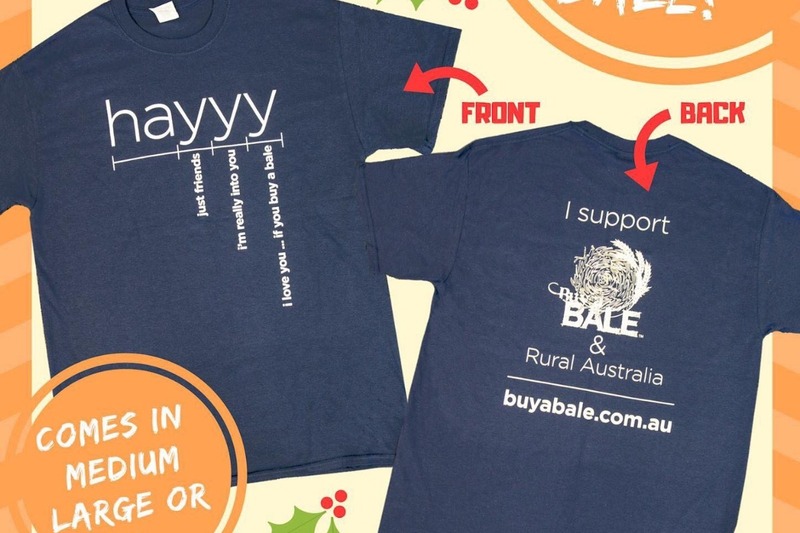 With all funds going directly to Rural Aid's Buy a Bale campaign, we're aiming to raise $50,000 from locals throughout the Central Coast to help farmers across Australia! Andrew Cooney Photography has documented the areas most affected by the drought to raise awareness for what's happening and how bad it really is. See for yourself here! Crystal Russom and her team of volunteers successfully collected enough donations at the Central Coast For Our Farmers Donation Drive to fill 2 semi-trailers. The goods were delivered Packsaddle Roadhouse in October, where they were distributed to local farming families doing it tough - but there's still more we can do, because this drought is far from over! Your donation can provide meaningful support for farmers by delivering hay and other essential items to farmers who have no feed left for their cattle. 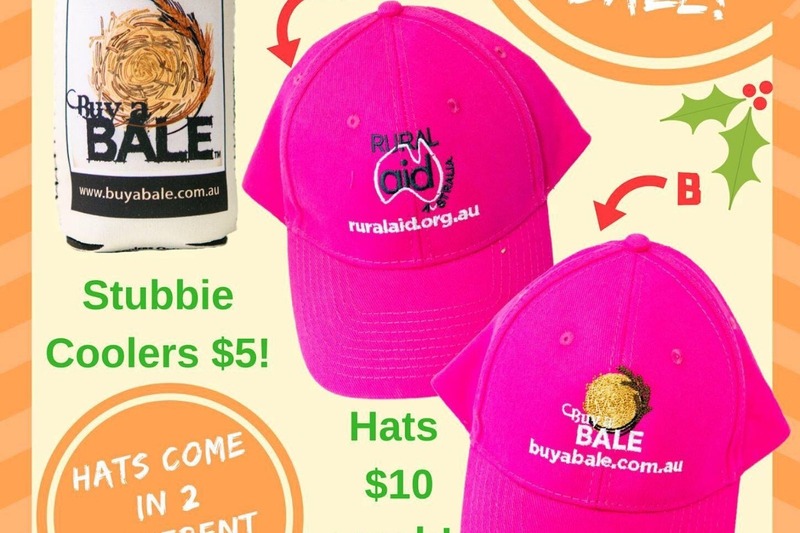 Purchase Rural Aid & Buy A Bale merchandise to help us reach our fundraising goal! Click 'donate now' and deposit your donation into this campaign, email russomcrystal@gmail.com with what you'd like to purchase & we'll send out your merchandise Australia-wide! $9500 buys a semi-trailer load of hay and transport it to an affected area. Special thank you to Mangrove Produce and Hardware , Mitavite, Eastcoast Beverages and NXT-GEN Nutrition for their continued support of our fundraising campaign. The Buy A Bale Hunter campaign – a partnership between the Mercury, Newcastle Herald, Dungog Chronicle, Scone Advocate, Hunter Valley News and charity Rural Aid – has given farmers more than $830,000 worth of help since February 14. While that is a mammoth effort, the need for help continues to grow as water resources dry up across NSW and fodder supplies become critically low. Calls for help are flooding in from other areas of NSW too, and Buy A Bale has already delivered more than $200,000 worth of hay and the waiting list continues to grow. Right now 62 per cent of the state is in drought or at the onset of drought. That’s more than double what it was two months ago. The rising demand has pushed the price of lucerne hay up to more than $500 a tonne. That price has jumped $100 a tonne in the past two months. Freight costs are thousands of dollars more than the price of the fodder. For instance, a load of 30 bales of hay from Victoria (near the NSW border) is $1500 and it costs around $6000 to bring it to the Hunter. Our farmers desperately need more help. Thank you so much to everyone that has donated already, and please, if you can spare some change, our farmers need all the help they can get.